When house moving is in order, there are dozens of things that you need to manage, which are not simply limited to finding which the best London moving firm in your area is. Packing is definitely the job that you are going to invest the most caution, time and resources in, because when done properly, it is going to guarantee that your goods are going to arrive at their assigned location unharmed. When done wrong however, it can potentially cause you quite a bit of problems. So, what is the right solution? It is our crate hire London covering option, of course. 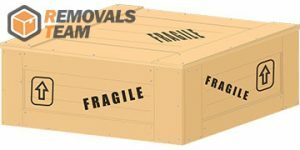 Our multi-purpose, high end crates for hire in London are your best solution to your upcoming relocation job, no matter whether you are house moving with the entire family or you are a student relocating to another rented accommodation. We will deliver them to your place exactly at the time when you need us to, and then come collect them from the new location once you no longer need them. They are cheap and reliable, and even though they are made of plastic, they are also more eco-friendly than boxes, for the simple reason that they can be used multiple times without waste. Mixing crate rental in London with our storage service is another viable option for you. We have facilities that are placed on strategic locations on the map of London that provide quick and easy access from any London borough. We will help you pack and move your goods to storage on a competitive price and look after your possessions for the time that you need us to. Our storage units come with no minimal contract period attached – get in touch with us for short term, as well as long term storage in London today. London is one of the oldest cities in Europe. The first permanent settlement was built by the Romans in the 1st century AD. London became the capital of England in the Middle Ages and ever since it has evolved into one of the largest economic, commercial and cultural centers in the world. Some of the most notable landmarks here include Buckingham Palace, The British Museum and Kew Gardens – the biggest scientific botanical garden in the country.